Bal Harbour, Florida Real Estate | Susan J Penn l Best Agent l Buy & Sell South Florida Homes! Bal Harbour Residential Real Estate and Bal Harbour Condominium Real Estate turns Bal Harbour, Florida into a highly exclusive elite location in South Florida! It is an extremely desirable oasis for the Bal Harbous stylish and sophisticated individuals with an affinity for Luxury Real Estate. Bal Harbour, Florida is one of the sparkling jewels on Florida's Gold Coast. 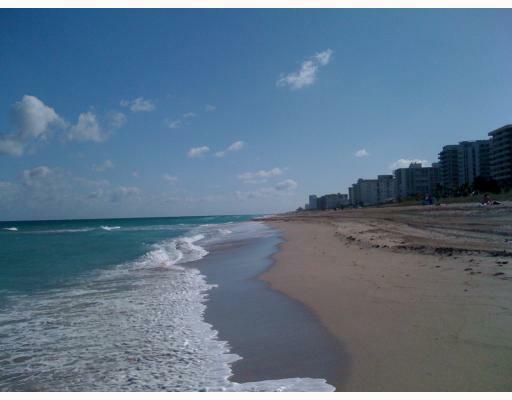 Fabulous Bal Harbour Village in Miami-Dade county was founded in 1946 as a master-planned community. Bal Harbour Village is known locally and internationally as a beautiful and safe place to live and visit. This hideaway city of the Rich and Famous is less than a square mile, with .3 square miles being land and the other .3 square miles is water. Bal Harbour is an exclusive island village of only 3,300 people located on a barrier island between Miami Beach, Venetian Islands, Hibiscus Island, Palm island and Star Island, Fisher Island, Golden Beach and Sunny Isles Beach! Bal Harbour has been known as a haven for sophistication and elegance. With an amazing location as it occupies one of the world's best beaches, and has always been considered to have high standards with the world renowned beautiful Bal Harbour Shops. Bal Harbor Shops offer elegant international shopping in a tropical garden setting featuring high-end stores and boutiques such as Neiman Marcus, Saks Fifth Avenue, Bulgari, Cartier, Chanel and Chopard to name a few. The ability to find exclusive and exquisite luxury fashion and jewlery combined with food tasing at some very nice restaurants and has kept Bal Harbour shops famous in Florida for many years. Some of the country's most spectacular single family residences with bay views are located on Bay Harbour Island and Bay Harbour Estates. Condominium residences such as the new St Regis on the Atlantic Ocean are a welcomed site. Bal Harbour resorts with oceanfront views welcome visitors from all over the world. Bal Harbour is known as the jewel-in-the-crown of Miami's municipalities. The U.S. 2010 census has the residential population at 2,961. Bal Harbour has five star restaurants including a Caviar Bar- one of the only in the nation. Living here, one gets all the benefits you'd imagine from living right on the beach indulging in boating, fishing, snorkeling and other activities regularly enjoyed by people living and visiting Bal Harbor. Stylish living is available in wonderful townhouses, condos and waterfront family homes. A new Luxury Beach Front Condominium Icon, The St. Regis Bal Harbour Resort, will arrive January 2012 according to Starwood. As the Sheraton Bal Harbour celebrates its 50th anniversary, plans are underway to transform this landmark into a new St. Regis Hotel. The Saint Regis Bal Harbour resort will offer three glass towers of beachfront hotel and condominium living with white butler service, a 12,000 square foot remede Spa and fitness center,fine dining restaurants and wine bar, with resort pools. The St. Regis Bal Harbour Resort is described as, "A peerless haven of oceanfront elegance, quiet unwavering taste, anticipatory service and seductive amenities". This exclusive enclave is directly by the celebrated Bal Harbour Shops. Prices are now starting at $1,400,000.Their "F" Residence boasts 4 bedrooms, 5 ½ bathrooms + den + staff quarters in over 3900 sq.ft. plus over 1200 square feet of outdoor living space on two 11 foot deep terraces. This residence starts at $5,000,000.00. Sales are underway, please contact Susan Penn for more information.